Nothing says summer like a grilled salad with corn. 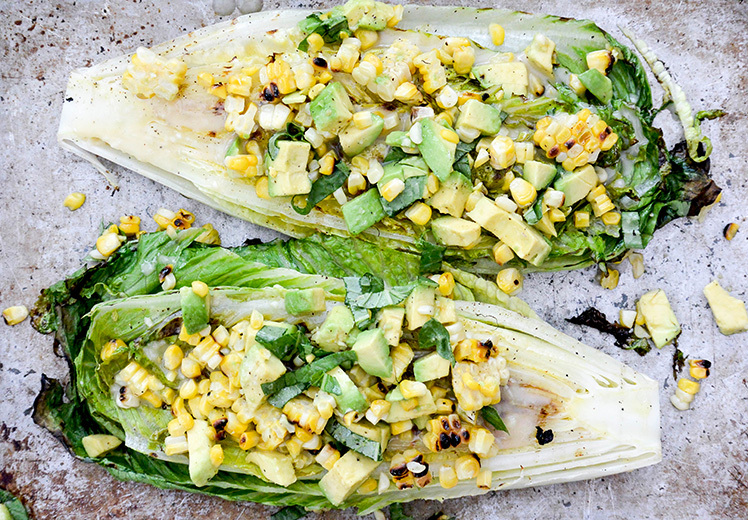 This beautiful Grilled Romain Salad with corn and avocado has my name all over it! I would probably add some red onion to mine as well. Yum! Can’t wait to try this recipe out soon! I found this amazing post on Sunset Magazines website. They are all the best camping gear products. Trust me, they are all legitimately awesome and practical camping items! You can take your camping/glamping to the next level with some of these products. Or you can find a fun gift for the camper (or person who has everything) in your life! 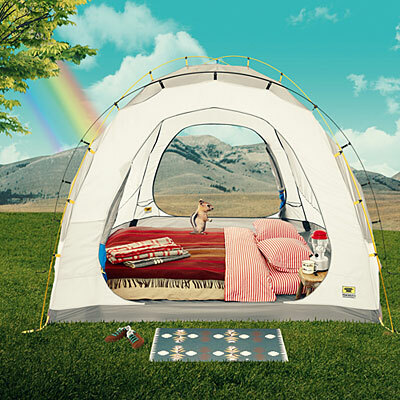 PLUS there is a chipmunk sitting on the bed in that tent if you look closely. Add a cute little animal to anything and I’m sure to like it 10% more. I’m always drawn to dark things for some reason. I like art that is a bit dark and creepy. I love jewelry and accessories with skulls/anything that is black. 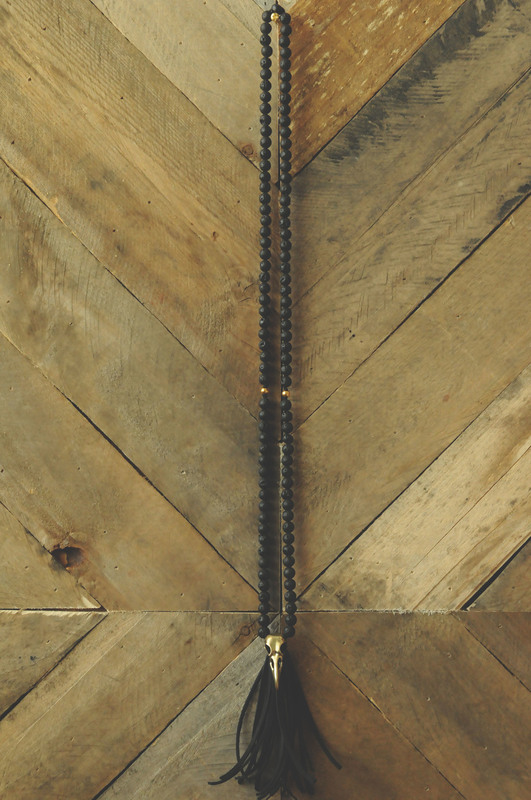 So obviously I saw this super creepy Mala necklace and fell in love! 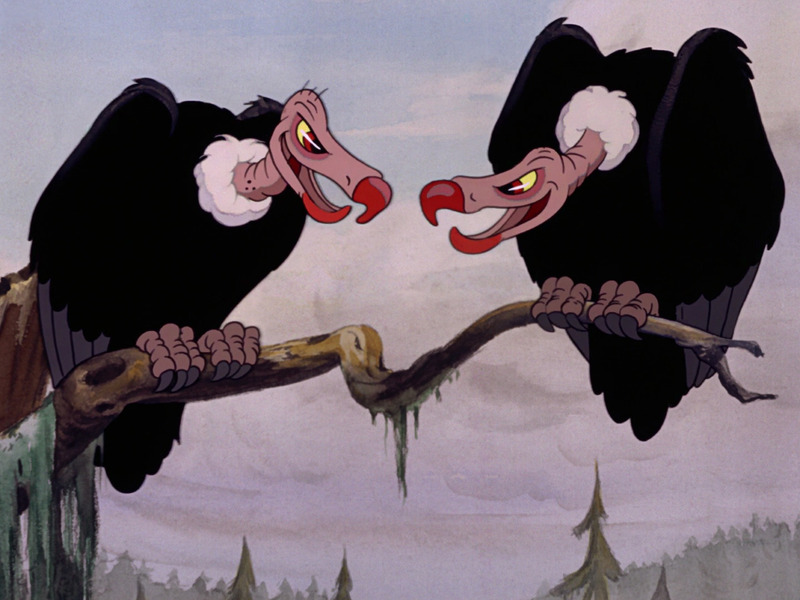 The bird reminds me of the creepy vultures in Snow White and the Seven Dwarfs! Maybe Disney films are the reason I have a love/hate relationship with creepy objects? Either way, I love this black and gold necklace made from rare black lava beads, a big tassel and a 14k gold raven skull! So I saw this new thing…it’s called a WINE SMOOTHIE! Know what smoothies are? HEALTHY. Which means wine can be had for breakfast, lunch and/or dinner and IT’S GOOD FOR YOU. 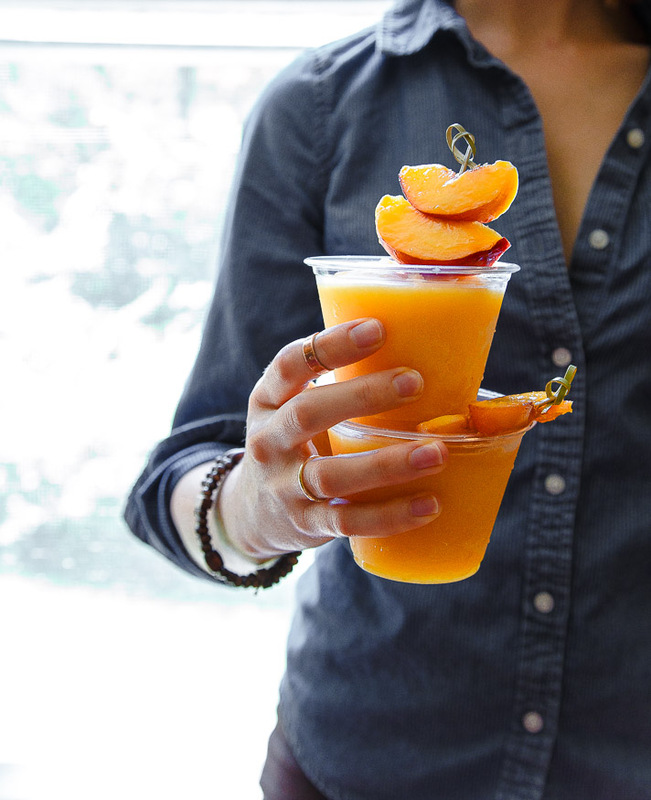 This wine smoothie below is made with white wine and peaches. Serve a wine smoothie at your next bbq/party and I promise you your friends will think you are the coolest! Lastly, and most importantly…these shoes. Can Sam Edelman ever do a thing that’s not perfect? If I were to dream up a perfect shoe I wouldn’t even be able to come close to these beauties. The wooden heel (click the link for more angles of the shoe) the tribal beading, straps, fringe…I just can’t even. I have never seen a salad like this! It looks so great. I can’t wait to make a wine smoothie! Great idea.